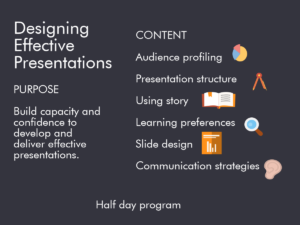 The Designing Effective Presentations workshop will enable your team to build their capacity and confidence to develop and deliver effective presentations. What platforms do you cover? Powerpoint? Visio? 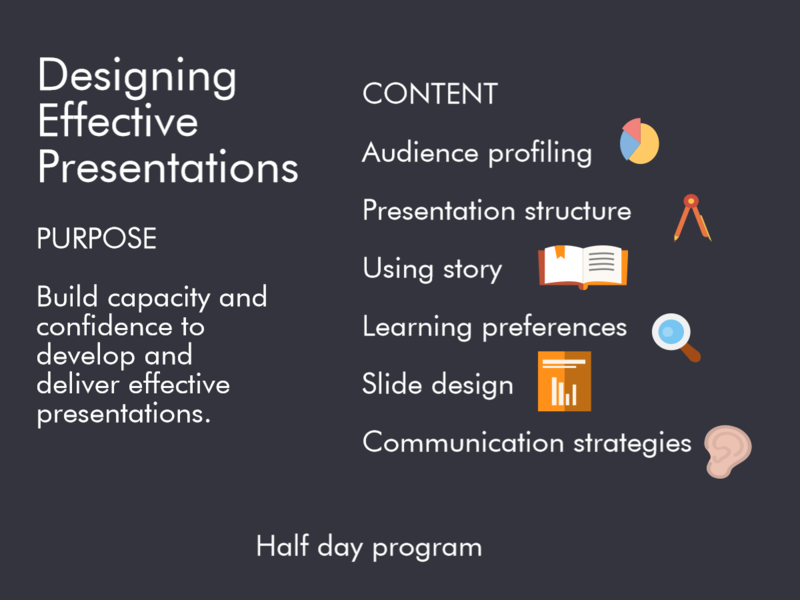 Thanks for your question re the ‘Designing Effective Presentations’ workshop. To be totally clear, there’s not a huge component of the program that covers presentation layout or platforms. More than happy to discuss further.